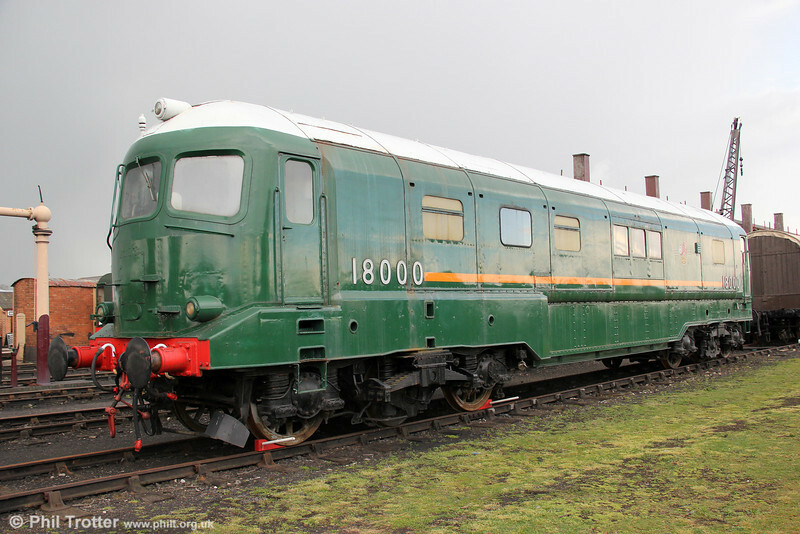 At the end of 1960, 18000 was withdrawn from operation and was stored at Swindon Works for four years. It later returned to mainland Europe, where for more than ten years it was used in substantially altered (and no longer gas turbine powered) form, for experiments concerning the interaction between steel wheels and steel rails. In 1975 it was moved to Vienna and displayed outside the Mechanical Engineering Testing building. In the early 1990s it was secured for preservation and returned to the UK. 21st April 2012.